Makeup starter kits are perfect for beginners or those who aren't too experienced with makeup. 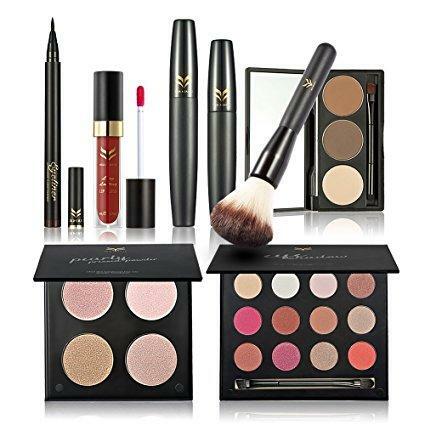 Whether you choose to put together one of these kits yourself or buy a ready-made option, they can provide you with all the necessary tools you need to create a beautiful yet simplistic makeup aesthetic. Primer - Primers, such as Prep + Prime Skin Refined Zone by M.A.C Cosmetics (about $23), prepare the skin for foundation and concealer. It's a beauty staple that helps to keep your makeup in place for all-day wear. Concealer and Foundation - Concealer, like Shape Tape Contour Concealer (around $27) by Tarte Cosmetics, is great for covering blemishes and dark circles under your eyes. 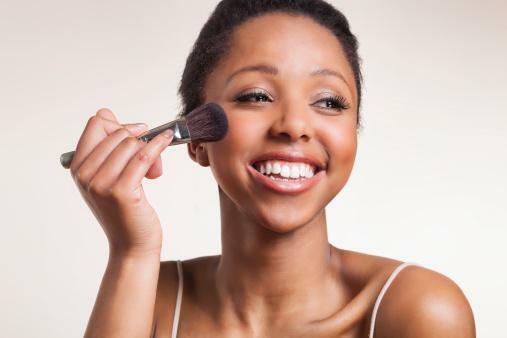 You can then either wear foundation over the top or underneath to even out your skin tone and give your face a smooth and immaculate appearance. Try Dream Liquid Mousse Foundation (about $10) by Maybelline New York. Mascara - Your eyes can easily be accentuated by applying a volumizing mascara. Choose one that will thicken and enhance your lashes, like Perversion Mascara by Urban Decay (about $24), for a more dramatic, fuller aesthetic. Bronzer or blusher - Add a natural-looking flush of color to your cheeks through a bronzer or blusher. Opt for products that include an application brush with the powder, such as GALifornia Powder Blush and Hoola Matte Bronzer (just under $30 each) by Benefit Cosmetics. Lipstick or gloss - The perfect way to finish off your makeup look is by applying a pop of color to your lips. If you want to make a serious style statement, choose a product like Ultra Matte Lip Under $7) by ColourPop Cosmetics in Arriba! If you want to embrace your natural beauty, then something like Lip Lingerie (about $7) by NYX Cosmetics in Cashmere Silk is a little more understated. 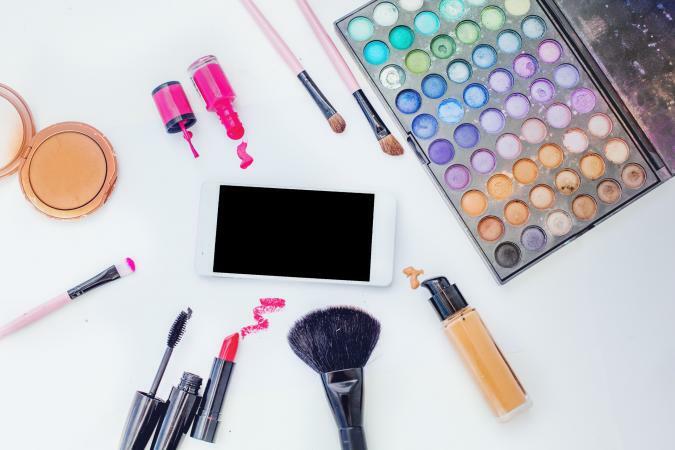 Other items that aren't generally considered essentials, but you can include if you have the budget, are highlighter, eyeliner, eyebrow powder, and eye shadow. If you only have a limited amount of money to spend, consider buying the travel-sized versions of products for yourself or your loved one to sample. 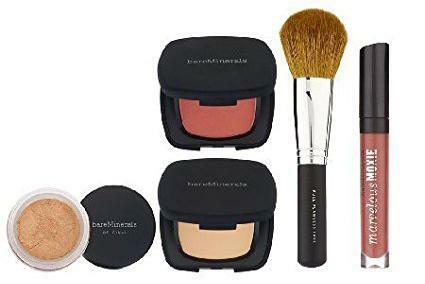 The BareMinerals From Start to Perfect 5-Piece Starter Kit by Bare Escentuals can be found on Amazon for around $40 including shipping. It contains an Original Foundation Broad Spectrum SPF15 in Golden Medium and a mini bareMinerals Ready Hydrating Touch Up Veil, which is a translucent powder to help reduce shine and obtain a flawless face. There's also the bareMinerals Ready All-Over Face Color in Elation, which is a bronzer, and a statement Marvelous Moxie Lipgloss in Maverick. For application, the Full Flawless Face Brush is conveniently included. Available from Amazon for $50, the Work Kit, Girl! 5-Piece Kit by Benefit Cosmetics is a little more expensive. However, the products are extremely high in quality and are also fashion-forward. 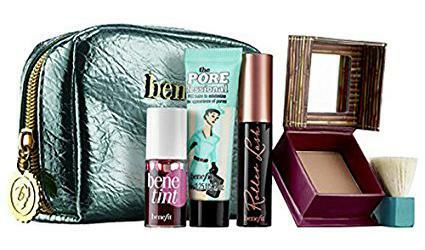 The kit contains a mini Roller Lash curling and lifting mascara, a mini POREfressional face primer, a mini Hoola matte bronzer, a Mini benetint rose-tinted lip and cheek stain, and a Benefit Cosmetics collectible makeup bag. For a more budget-friendly version, opt for Amazon's Cosmetic 7-Piece Kit by Huamianli. It contains pressed powder, eyeshadow, eyebrow powder, lip gloss, a blush brush, mascara and an eyeliner pen. At $15, it's a steal. A makeup kit can be very handy for beginners in the beauty world, whether it's for yourself or as a gift for your loved one. There's no right or wrong answer when it comes to putting one together, but you can invest in a ready-made version if you're struggling. The trick is to experiment with different products to find the best options for you, and have fun. After all, makeup is an art.